Back almost five years ago I spent a week live blogging from Greenpeace’s Arctic Sunrise ship in the English Channel – you can find all my posts from that trip here. Now I am writing this on my way to another live blogging trip – I am going to Charleroi to blog about regional projects that DG Regio of the Commission has funded there*, especially Quai10. The folks from Old Continent, a creative agency in Brussels, is going to film and record what the three bloggers (Alexander Ricci of Café Babel, Kathleen Wuyard (Paris Match profile, her blog) and I), and two photographers (Justin Paquay and Daniel Botelho) make of what we find, to then use this as a guide for those blogging, tweeting, instagramming, photographing and facebooking about local EU-funded projects. A kind of how-to if you like. 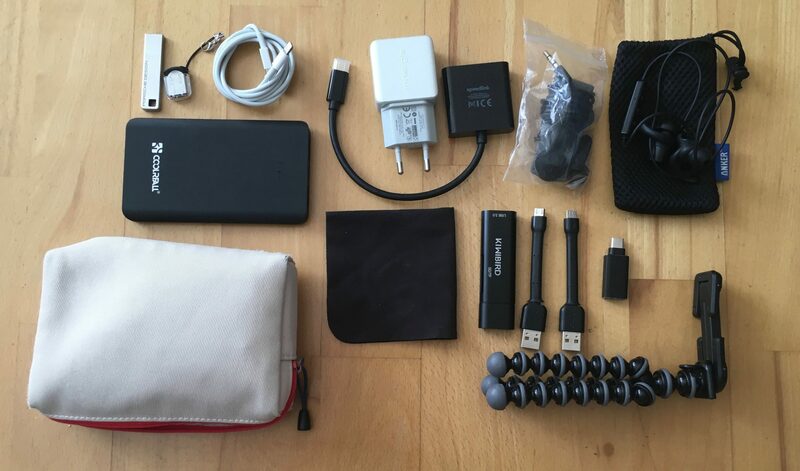 So in that spirit, here’s my first blog post – what I am taking with me for this trip to blog about the projects in Charleroi. My tech has improved a little bit since this post in 2013! All the blog posts about this trip will be tagged “Blogging Charleroi“. I’ll break it down, piece by piece. The bag itself is from some flight I took on Air France years ago! 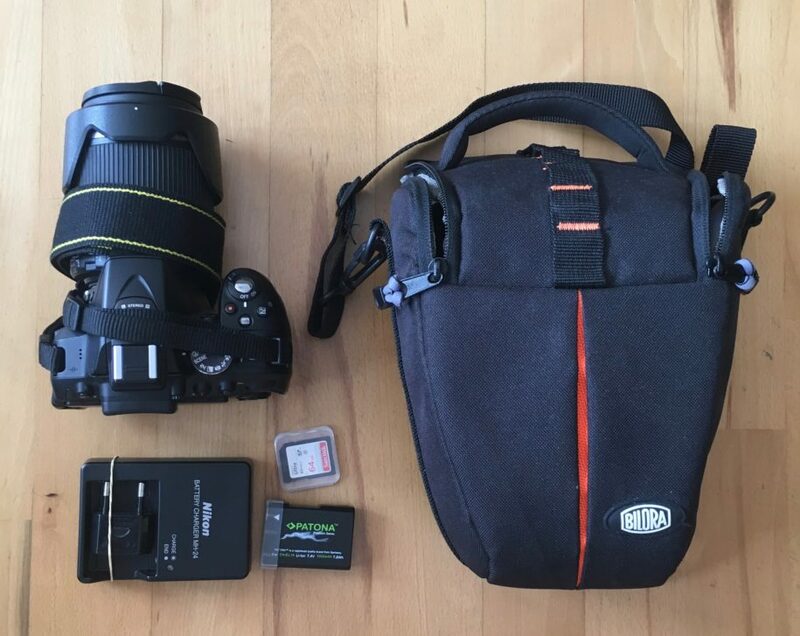 This is a pretty standard Nikon D5300 digital SLR (the newer D5500 is now available, but you can still get a D5300 body for €489 here) – I appreciate that it has wifi, even if Nikon’s app for iOS is pretty horrid. The lens is a Tamron B018N 18-200mm F3.5-6.3 Di II VC Nikon (€168.99 from Amazon here). A couple of 64Gb SD cards (€24.99 each at Amazon here), a spare Patona battery (€22.90 from Amazon here), and a Bilora compact case (no longer available, but about €20) complete this part. I’m not sure I am going to need this in Charleroi, but brought it just in case! 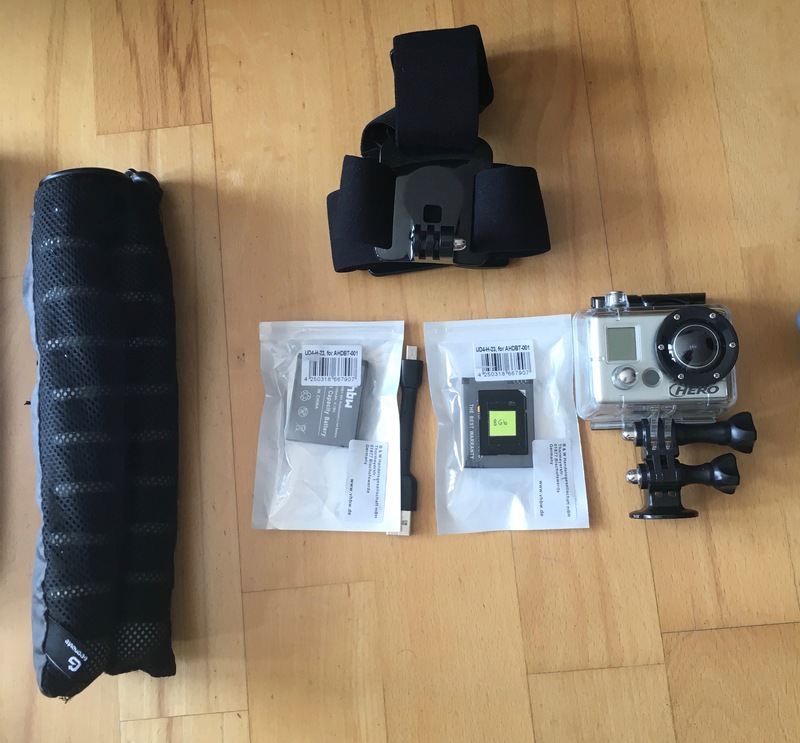 This kit I use for live streaming events normally. 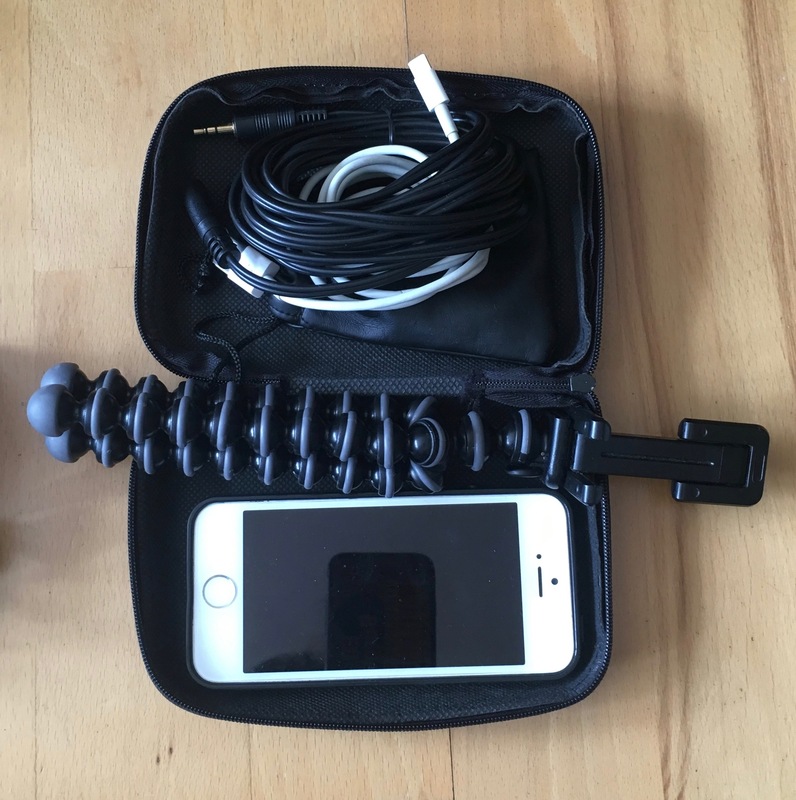 It comprises an old iPhone 5S 64Gb without a Simcard that I bought second hand on eBay for about €200, an old Lightning cable, a further Gorillapod tripod, a basic Lavalier microphone (equivalent €13 on Amazon here), and a microphone extension cable. The case is from an Etihad flight years ago! This is a really old GoPro, from sometime around 2012. I use it rather seldom, but as it is basically unbreakable it comes along with me – I would not buy a new one, but I am glad I own this one! There are a couple of spare batteries for it, two small SD cards (it won’t read ones larger than 16Gb!) and a mini-USB cable. There’s also a full size Gorillapod that I can use with the GoPro or with the Nikon SLR (much more heavy duty than the mobile ones – €26 on Amazon here). An Apple 2017 MacBook Pro Retina 2.3GHz dual-core Intel Core i5 without TouchBar and with a 512Gb SSD and 16Gb of RAM. €2239. Ouch. 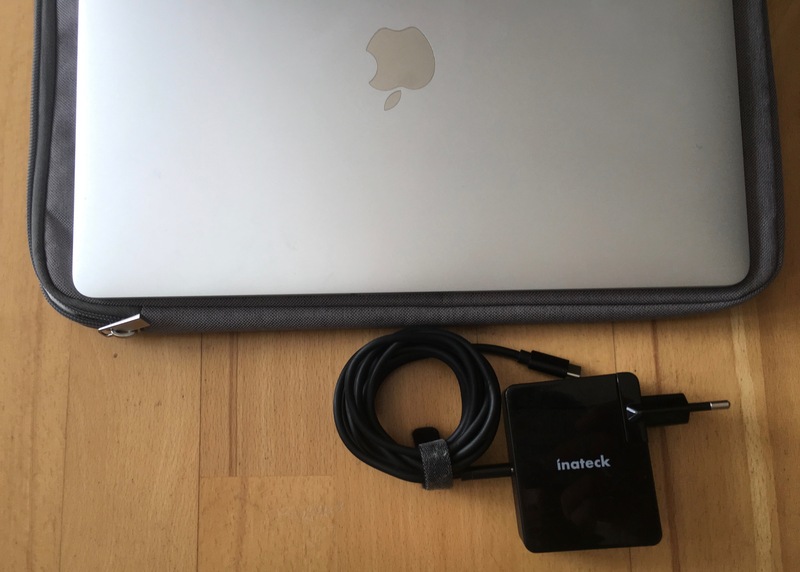 And an Inateck charger (€34.99 from Amazon here). 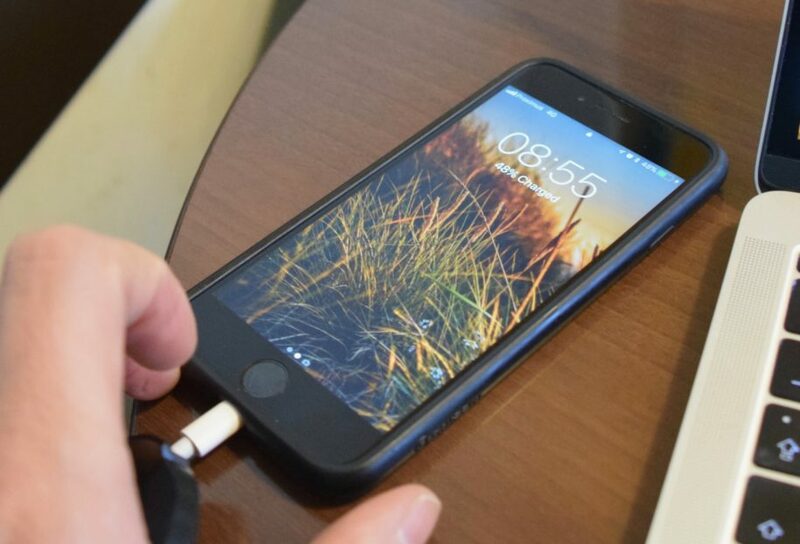 My phone – an iPhone 6S 64Gb with a Griffin Hardshell case (highly recommended – it’s kept my phone safe for two years and it is only €9.36 on Amazon here). So that’s the tech I am using. Now let’s blog! * – I am also not doing this work for free. It is a paid project – my travel costs to Charleroi have been covered, as has a small fee. No limits have been placed on what I can and cannot blog about. If I am disappointed or frustrated, that will be going in the blog here, and on Twitter! 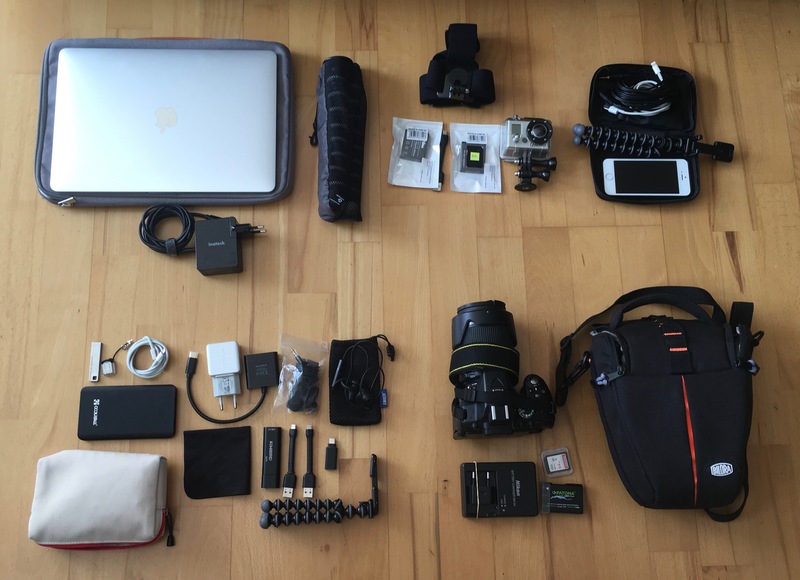 What kit do you take for a live-blogging expedition?